30 Years as a photojournalist; all in Denver; all at the same television station. Unique and amazing, both a fitting description of KCNC Chief Photographer Bob Burke. He began his career in 1981, his first job as a Colorado State University graduate. Back then ENG was still in its infancy; timecode generators only worked some of the time, and the 2-piece TK-76 camera and record deck were state-of-the-art. KCNC was still known as KOA-TV. Times change radically in this business, and Bob is the first to learn new skills and take it upon himself to teach others. Bob became the station’s Chief Photog in 1993, but his breadth of work encompasses not just shooting and editing, but also writing and producing – for news, sports, magazine shows and documentaries. That, in addition to juggling schedules, station vehicle maintenance, and management tasks. Of the many stories he’s covered, both here and abroad, two things stand out: his dedication to getting the story in a way that is complete and handled with respect, and his loyalty and professionalism toward his co-workers. In and outside the TV industry, people trust Bob. He leads by example, is calm during chaos, and has a terrific work ethic and sense of humor. Work such as this has not gone unrecognized, and Bob has been honored with his share of awards: 2011 NPPA Photography Station of the Year; Heartland Emmy awards in news, documentary, sports and journalistic enterprise; first-ever recipient of the CSU Distinguished Journalism Alumni Award. But Bob is more excited when one of the photographers on his staff is recognized for good work. And he’s a tireless mentor. It all started years ago as a guest speaker at CSU for his former professor Fred Shook. 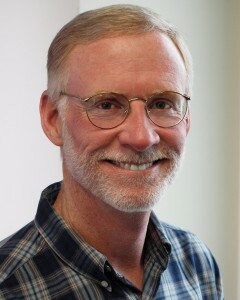 Since then, Bob has provided instruction, coaching and critique to countless journalism students – reviewing tapes and storytelling techniques – and has helped them to aspire to a higher standard. He serves on CSU’s Journalism Advisory Board, providing professional reviews for each graduating student. When floodwaters destroyed the school’s student television facilities, Bob found donors and delivered replacement studio and control room equipment. Bob lives in Denver with his wife, Marcia Neville. He enjoys cycling around the state and travelling (never met a beach he didn’t like); he is known for making a perfect martini, and driving a beat-up Subaru sedan from the early ’80s – but never at the same time!